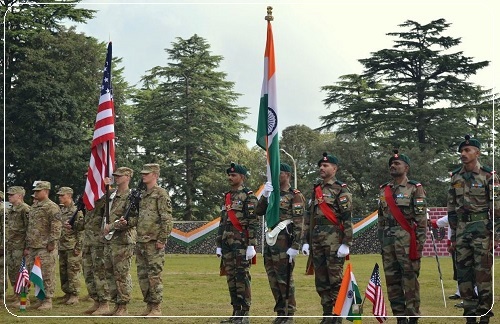 The Indo-US Joint Military Training Exercise, Yudh Abhyas - 2016 is being conducted at Chaubattia Military Station in Ranikhet, Uttarakhand. The exercise is the twelfth in the YudhAbhyas series, which started in the year 2004 under US Army Pacific Partnership Program. It strengthens and broadens inter-operability and cooperation between the Indian and US armies. For the third time the exercise is being conducted at Chaubattia in Uttarakhand. Over the years the two countries have decided to progressively increase the scope and content of the combined exercise. Exercise YudhAbhyas 2016 has witnessed a Brigade Headquarter based Command Post Exercise, an Infantry company carrying out Field Training Exercise and discussions on issues of mutual interest by experts of both countries. The exercise provided an ideal platform for the personnel of the two countries to share their experiences on counter insurgency and counter terrorist operations, especially in the mountainous terrain. The exercise curriculum was planned progressively where the participants were initially made to get familiar with each other’s organizational structure, weapons, equipment, and tactical drills. Subsequently, the training advanced to joint tactical exercises wherein the battle drills of both the armies are being coherently practiced. The Joint Drills include Room Intervention, Cordon and Search in Counter Terrorist Operations, Jungle Lane Shooting, Reflex Shooting, Long Range Firing and Cliff Assault Techniques. The bilateral training will be brought to a meaningful culmination by conduct of a final validation exercise tomorrow in which all the learning mutually imparted by both armies will be put to test on ground. Troops will be inducted by helicopters into a notional hostile area to neutralize terrorists, as part of the exercise.